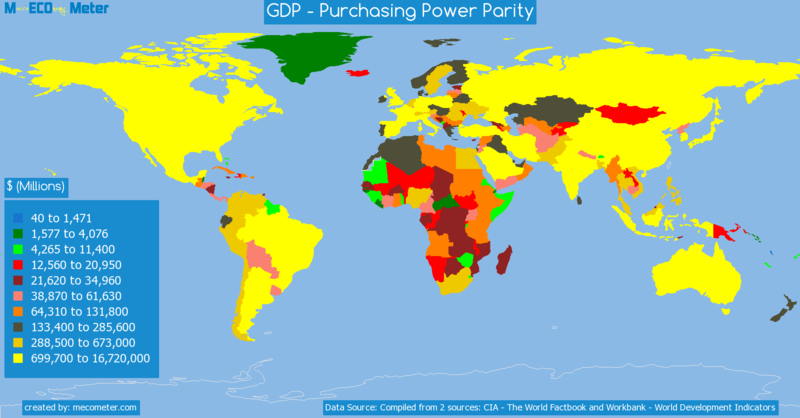 Value & RankThe GDP - Purchasing Power Parity of Mauritius is 21.0 ( billions of $) with a global rank of 129. 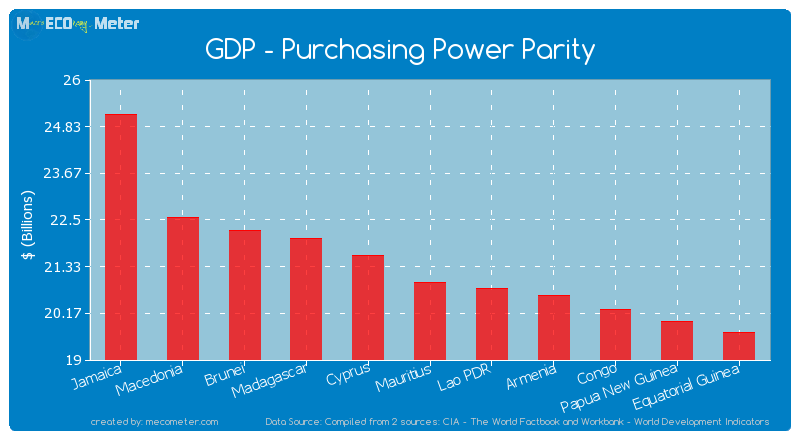 Mauritius compared to other CountriesThe GDP - Purchasing Power Parity of Mauritius is similar to that of Jamaica, Macedonia, Brunei, Madagascar, Cyprus, Lao PDR, Armenia, Congo, Papua New Guinea, Equatorial Guinea with a respective GDP - Purchasing Power Parity of 25.1, 22.6, 22.3, 22.0, 21.6, 20.8, 20.6, 20.3, 20.0, 19.7 ( billions of $) and a global rank of 124, 125, 126, 127, 128, 130, 131, 132, 133, 134.10 years growthMauritius's GDP - Purchasing Power Parity had a positive growth of 70.3 (%) in the last 10 years from (2003 to 2013). 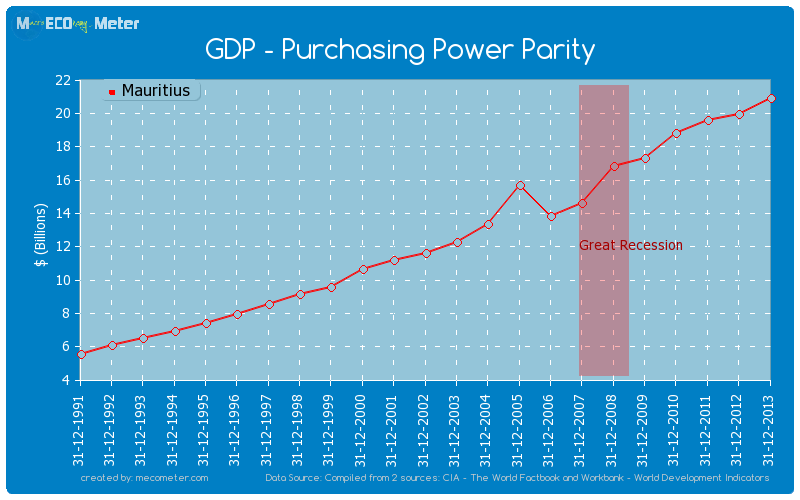 Last 10 years averageMauritius had an average GDP - Purchasing Power Parity of 16.7 ( billions of $) in the last 10 years from (2003 to 2013).